See the best of both worlds in a sightseeing tour from Hue to Da Nang or Hoi An aboard a aircon bus! Visit Lang Co Beach, one of the most beautiful beaches in Hue, the 200-year old Thanh Toan Bridge, and more! the tour guide Mr. Bao is very professional abt the introduction of every scenery during the trip to HoiAn. I am very pressed for his detailed demonstration. Every stop has enough time for photo taking though the weather was not good, in average, everything good and the short trip was fun and easy. totally recommend for this small package. From the former imperial city of Hue, venture into the historical past and natural wonders of Da Nang or Hoi An! 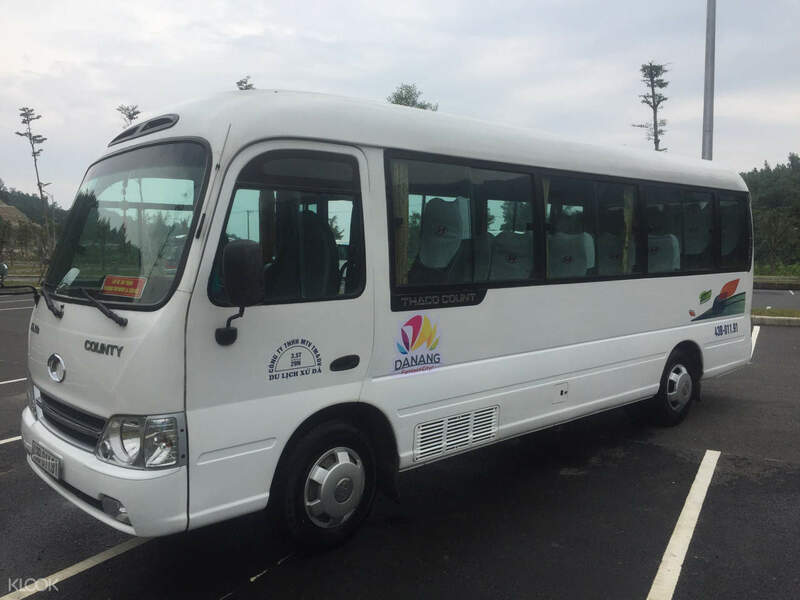 Explore top attractions in two of the most popular Vietnamese tourist destinations in a sightseeing day tour aboard a luxurious bus. Choose your own adventure and select which city you’ll wander into. By visiting the coastal city of Da Nang, discover the beautiful Thanh Toan Bridge built during the Nguyen Dynasty. Immerse yourself in the rural landscape surrounding the 200-year old bridge and learn more about its history with the help of an English speaking guide. Travel next to what is said to be the most beautiful beach in Vietnam: Lang Co Beach. Laze around the long stretch of beach with white sand and turquoise waters beneath the dazzling sun. Beyond the beach, see a distant view of mountain peaks and green forests creating a picturesque view that continues to astound tourists and locals alike. 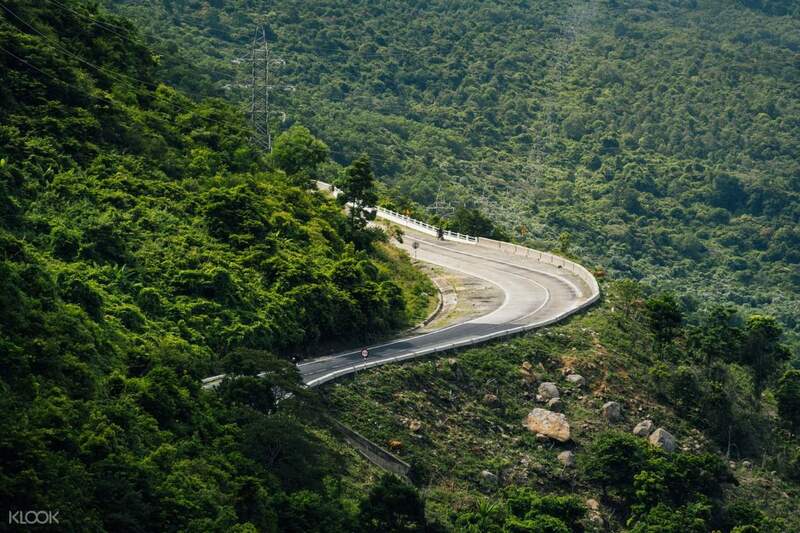 On your way to the drop off location, drive through the Hai Van Pass––the highest pass in Vietnam––to catch stunning ocean vistas on one side and lush mountains on the other under clear, blue skies. If you choose to visit Hoi An, continue your journey to the Museum of Cham Sculpture. See ornate art and artifacts from the ancient kingdom of Champa dating back as early as the 10th century! From man-made wonders to natural ones, explore the magnificent Marble Mountains where you can find age-old pagodas, caves, and temples surrounded by green forests. Conquer your fear of heights and take the lift to the peak to access breathtaking countryside and beach views. 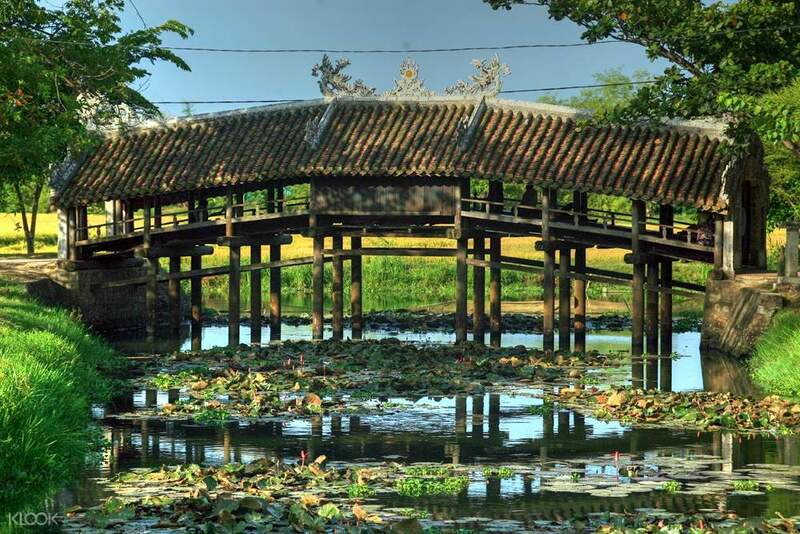 You last stop will bring you to the Hoi An Ancient Town, a UNESCO World Heritage Site famed for its well-preserved monuments, architecture, and history as an old trading port in the 15th to 19th century. 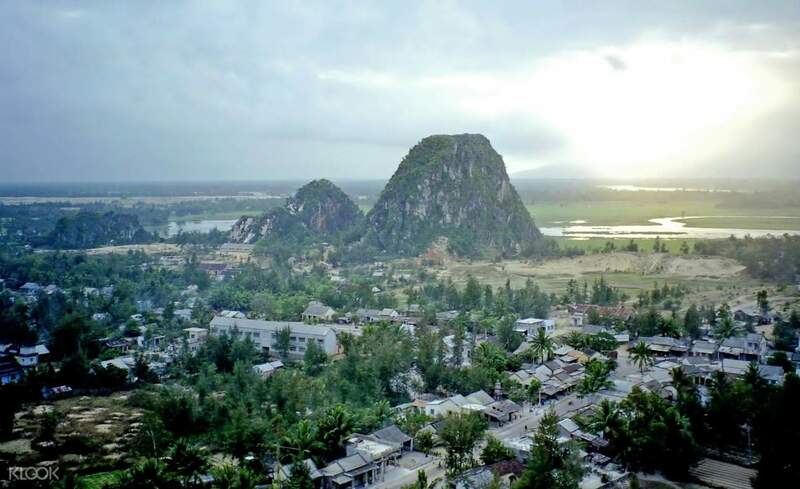 Your tours will end with a safe drop off at either Da Nang or Hoi An. Traveling from Hoi An to Hue? You can also take a one way trip to the formal imperial city and pass through scenic routes along the way. the tour guide Mr. Bao is very professional abt the introduction of every scenery during the trip to HoiAn. I am very pressed for his detailed demonstration. Every stop has enough time for photo taking though the weather was not good, in average, everything good and the short trip was fun and easy. totally recommend for this small package. the tour guide Mr. Bao is very professional abt the introduction of every scenery during the trip to HoiAn. I am very pressed for his detailed demonstration. Every stop has enough time for photo taking though the weather was not good, in average, everything good and the short trip was fun and easy. totally recommend for this small package. It will be good if there were longer stop rather than various very short stop along the way. Good view along the way.. It will be good if there were longer stop rather than various very short stop along the way. Good view along the way..
bus trip to from hoi an to Hue' was very good. Unfortunately because of the bar weather we couldn't pass through the van pass. They dropped me off just in front of the hotel. bus trip to from hoi an to Hue' was very good. Unfortunately because of the bar weather we couldn't pass through the van pass. They dropped me off just in front of the hotel. Good transportation option with lots of sightseeing along the journey. The mini bus is definitely comfortable! Good transportation option with lots of sightseeing along the journey. The mini bus is definitely comfortable! Good and fast way to transfer with some sightseeing. Would recommend! Good and fast way to transfer with some sightseeing. Would recommend!